Windows 10 is now here! Whew! Time flies, doesn't it? 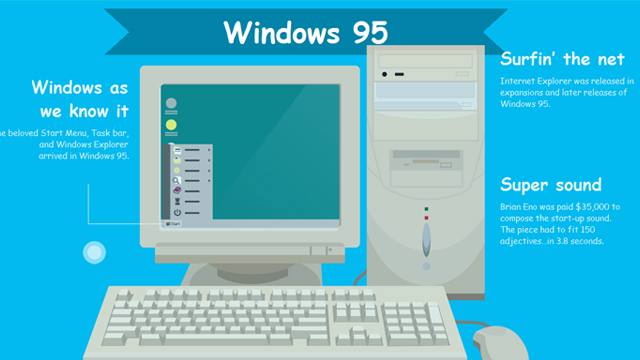 It seems like only yesterday when we were blown away by its ancient predecessors like Windows 95 and Windows XP. And now we're in 2015—30 years after the launch of the first-ever Windows version. That's a lot of history right there. The images you just saw are actually from On The Hub's interactive visual guide on the evolution of Windows, a journey of several decades done in just a few minutes (and scrolls). If the #throwback bug is still biting you hard, we recommend you sit back, chill, and check it out by clicking on the image below.